Wouldn't you like to eat this dessert feast with friends? CREDIT: Lee, Russell, photographer. 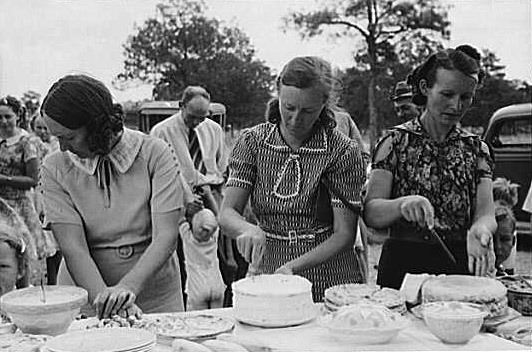 "Cutting cakes, dinner of all day community sing. Pie Town, New Mexico," 1940. Prints and Photographs Division, Library of Congress. Reproduction Number LC-USF33-012764-M3.